I write, edit and shoot content for adventure-travel and motoring publications around the world. Below is a selection of some recent features. South Africa’s Route 62 is a classic. I rode a Royal Enfield 500 up from Cape Town to find the best of it. Germany’s MOTORRAD Magazine pitted two much-loved, twin-cylinder fun machines against one another. 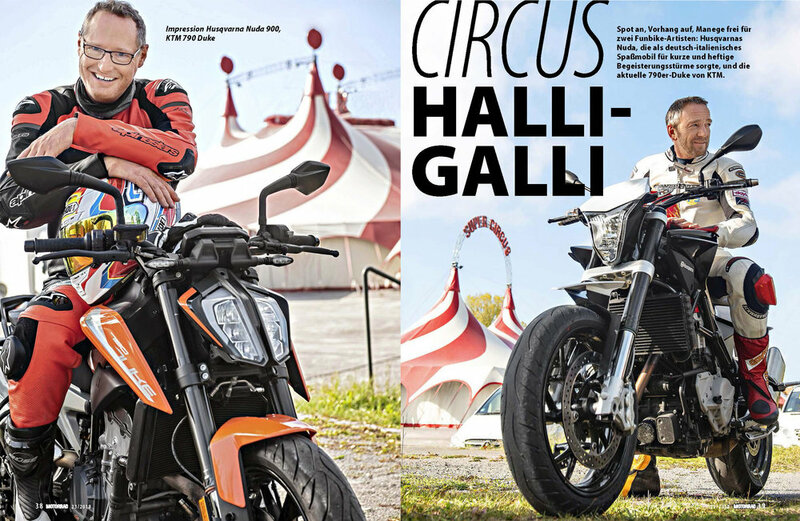 An old favourite - the Husqvarna Nuda, and the new kid on the block, the KTM Duke 790. I shot the story. 10 of South Africa’s most challenging mountain passes are in the country’s Eastern Cape provinces. I rode them on a KLR650 and captured the experience for Getaway Magazine. With intensifying discussions about how we’re going to power our vehicles in the future, MOTORRAD Magazine in Germany produced a 31-page special on energy and motorcycles. I photographed a comparison test between six bikes. The Intermot Motorcycle Expo in Cologne Germany was the stage from some exciting new releases for 2019. I attended and reported on it for ZABikers in South Africa. Industry specialists, journalists and engineers give me the lowdown on what to expect from the new BMW R1250 GS. A little-known route through South Africa's Cederberg mountains provides a challenge for even experienced adventures riders. Here's what it's like to ride it. I spent three days on the road finding a route from Johannesburg to Cape Town that would take adventure riders through some of South Africa's most spectacular landscapes. Co-produced Getaway magazine's annual gear guides for 2016 and 2017. The guides feature reviews from professional travellers, the latest gear for a broad range of outdoor activities and tips and techniques to make outdoor lifestyle easier, and more fun. The new Husqvarna Vitpilen 701 has been making huge waves in the street bike scene this year. I rode it through the Black Forest to see what all the noise was about. 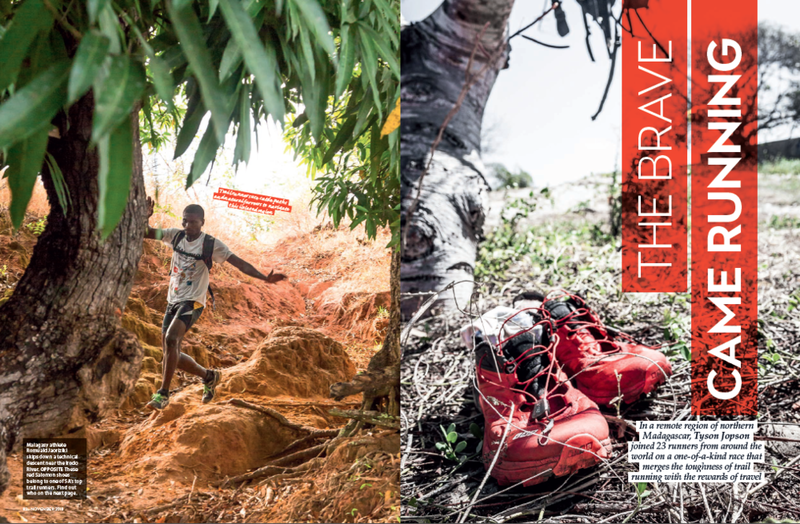 I travelled to a remote region of Madagascar to cover the inaugural Racing Madagascar trail run series. It was hot and tough, and one of the most incredible adventures I've ever had. The KwaZulu-Natal Province is home to some of the best single-track in the world. I hit them on my favourite hardtail to see which ones came up trumps. There are just two national parks in landlocked Lesotho. I went there to see what sets them apart. You can ride from Cape Town to Mossel Bay almost exclusively on gravel roads. We plotted a route and put KTM's new 1190 and 1050 Adventure bikes to the test. South Africa's Free State province often gets overlooked when it comes to planning a road trip. I took a familiar passenger and the new Nissan Navara to root out its gems. I joined a crew of 10 on the first-ever fatbike tour of Mozambique's southern coastline - three days of sunshine, swimming and cycling along secluded beaches. I joined a desert expedition of double cabs from nine different manufacturers. We put them through their paces in the heat of Namibia to see which one would come out on top. I spent some time with team Vestas Wind during their Cape Town leg of the Volvo Ocean Race to learn about what it takes to compete in the world's toughest yacht race. I love a good backpack. But everyone is different. For this feature I teamed up with four travellers with completely different needs to produce a feature with the best bags for each type of adventure.